K J N Sai Nitesh and S Venkateswara Rao, A study on the effect of aspect ratio of steel fiber on torsional properties of high strength Self Compacting Concrete, Transylvanian Review: Vol XXIV, No. 11, Special Issue, 2016, pp 2862 - 2872. Praveen, S. Venkateswara Rao and P. R. Kumar, A study on the influence of a/d ratio and stirrup spacing on Shear behaviour of Steel Fiber Reinforced SCC, Cement Wapno Beton, Vol 13(6), 2016, pp 405-422. K J N Sai Nitesh and S Venkateswara Rao, An Experimental Investigation on effect of Hybrid Fiber on High Strength Self Compacting Concrete and Vibrated Concrete, International Journal of Earth Sciences and Engineering, Vol, 9(3), 2016, pp 400-403. Venkateswara Rao, S., Silva, P., & De Brito J,Experimental study of the mechanical properties and durability of self-compacting mortars with nano materials (SiO2 and TiO2),Construction and Building Materials, Vol 96, 2015, pp 508-517. S Venkateswara Rao, M V Seshagiri Rao, D Ramaseshu and P Ratish Kumar, 'A rational Mix design procedure for self compacting concrete', Published in the journal of Cement Wapno Beton, Volume No.5, 2013, pp 271 - 280. K L Radhika, P Ratish Kumar, S Venkateswara Rao and M V Krishna Rao, Mix design methodology for fibrous self compacting concrete, Published in the journal of Cement Wapno Beton, Volume No.5, 2012, pp 310 - 323. K L Radhika, P Ratish Kumar, S Venkateswara Rao,Performance studies on standard and high strength self compacting concrete, Published in the journal of Indian Concrete Institute, Volume No. 13, July 2012, pp 7 -12. S Venkateswara Rao, M V Seshagiri Rao, D Ramaseshu and P Riteesh Kumar, Durability performance of Self Compacting Concrete, Published in Magazine of Concrete Research (ICE publishing), VolumeNo.64, 2012, pp 1-9. S Venkateswara Rao, M V Seshagiri Rao and P Riteesh Kumar,Effect of size of aggregate and fines on standard and high Self Compacting Concrete, published in International Journal of Applied Science Research (JASR), Volume No.6, May 2010, pp 433 442. S Venkateswara Rao, M V Seshagiri Rao and P Riteesh Kumar Resistance of Self Compacting Concrete and Normal Concrete to Acid Attack, published in International Journal of Applied Engineering Research (IJAER), Volume No.4 Number 12(2009) pp2459-2468. 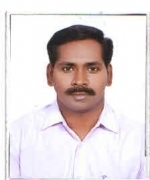 Praveen, S. Venkateswara Rao, ï¿½? ?A Study on effect of steel fibers on Fresh and Hardened Properties of Self Compacting Concreteï¿½? ?, International Conference on Advances in Concrete Technology Materials and Construction Practices held at Goa College of Engineering. 22-24 June 2016. K J N Sai Nitesh and S Venkateswara Rao. ï¿½? ?An Experimental Investigation on effect of Hybrid Fiber on High Strength Self Compacting Concrete and Vibrated Concrete.ï¿½?? International conference of Earth Sciences and Engineering (ICEE-2016), held at Nehru Institute of Technology (NIT), Coimbatore, Tamil Nadu ,17-18, June 2016. K J N Sai Nitesh, N. Siva Rama Krishna and S Venkateswara Rao. ï¿½? ?An Experimental Study on Torsional Behaviour of Steel Fiber Reinforced High strength Self Compacting Concreteï¿½?? International Conference on Trends and Recent Advances in Civil Engineering held at Amity University, Noida. Conference Proceedings, pp 517-527. 11-12 August 2016. Praveen, S. Venkateswara Rao ï¿½? ?Effect of Steel Fiber and Shear Span to depth ratio (a/d) on Shear Behaviour of Self Compacting Concreteï¿½??. International Conference on Trends and Recent Advances in Civil Engineering held at Amity University, Noida. Conference Proceedings, pp 517-527. 11-12 August 2016. S Venkateswara Rao participated in the 7th IEEE International Conference on ï¿½? ?Technology for Education (T4E 2015)ï¿½? ?, organised by National Institute of Technology, Warangal, 10 -12 December, 2015. S Venkateswara Rao, M V Seshagiri Rao and D Ramaseshu, Strength and Durability studies of Conventional Concrete and Self Compacting Concrete International Conference on Advances in Construction Materials through Science and Engineering, organised by Hong Kong University of Science and Technology, Hong Kong,5th - 7th September, 2011. S Venkateswara Rao and M V Seshagiri Rao, Durability properties of Standard grade Self Compacting Concrete compared with Normal Concrete, International Conference on Advances in Concrete, Structural and Geotechnical Engineering (ACSGE - 2009), BITS, Pilani, India, 25-27 October 2009. S Venkateswara Rao and M V Seshagiri Rao, A Study on the effect of size of aggregate and fines on the properties of High Strength Self Compacting Concrete, 2nd International Conference on Advances in Concrete and Construction, Hyderabad, A.P, India, Vol. I, pp 89 - 103, 7- 9 February 2008. Praveen, S. Venkateswara Rao ï¿½? ?Steel Fibers as a Partial Shear Reinforcement in Self Compacting Concreteï¿½?? Structural Engineering Convention 2016 (SEC-2016) CSIR-SERC, Chennai, INDIA. Conference Proceedings, pp 1572-1577. 21-23 December 2016. K Praveen, D Ashok Reddy, S Venkateswara Rao. ï¿½? ?A Study on Effect of Steel Fibers on Self-Compacting Concreteï¿½??. National Conference on MODERN CONCRETES ï¿½? ?DRIVING PROFIT AND SUSTAINABILITY (MCDPS-16) held at VNRVJIET, Hyderabad. 26th-27th AUGUST 2016. Praveen K, Vishal V and S Venkateswara Rao, ï¿½? ?A study on the effect of fibers on the mechanical behavior of Nano based High Strength Self Compacting Concreteï¿½? ?, All India Seminar on ï¿½? ?New Developments in use of alternative Materials for Concrete (AMCON ï¿½?? 2015)ï¿½?? organized by Indian Concrete Institute, 13 ï¿½?? 14 March 2015. S Venkateswara Rao and M V Seshagiri Rao, A study on the effect of size of aggregate and fines on the properties of Ordinary grade Self Compacting Concrete, 2nd National Conference on Materials and Structures (MAST), NIT, Warangal, A P, India, pp 74- 86, 14-15 December 2007. S Venkateswara Rao and M V Seshagiri Rao, A study on the Effect of Chemical Admixtures on the properties of Self Compacting Concrete, National Conference on Emerging Technologies in Civil Engineering for Sustainable Development, S R K R Engineering College, Bhimavaram, A.P, India, 2-8-1 to 2-8-9, 27-29 December 2006. S Venkateswara Rao and M V Seshagiri Rao, A study on the properties of Self Compacting Concrete with different sizes of aggregate, National Conference on Sustaining Technology for Advancements in Civil Engineering, S R K R Engineering College, Bhimavaram, A.P, India,1-5-1 to 1-5-5, 24-26 November 2005. S Venkateswara Rao and M V Seshagiri Rao, Study on accelerated curing methods for admixture concretes National Conference on Advances in Materials and Mechanics of Concrete Structures held at Indian Institute of Technology, Madras, and 12th- 13th August, 2005. Conducted three day workshop on ï¿½? ?Condition Assessment and Rehabilitation of Structures (CARS ï¿½?? 2017) during 17 ï¿½?? 19 March 2017, sponsored by TEQIP II. Conducted three day Faculty Development Program on ï¿½? ?Recent Advances in Concrete Technology (ReACT ï¿½?? 2017) during 20 ï¿½?? 22 March 2017, sponsored by TEQIP II. Attended a workshop on ï¿½? ?Eco Friendly Structural Innovations for Sustainable Developmentï¿½?? organized by National Institute of Technology, Warangal during July 18 ï¿½?? 19, 2014 under TEQIP ï¿½?? II. Attended a workshop on ï¿½? ?Geo Risks and Remediesï¿½?? organized by Civil Engineering Department, National Institute of Technology, Warangal on 31st January, 2014 under TEQIP ï¿½?? II. Attended Two week ISTE workshop under National Mission on Education through ICT (MHRD) on ï¿½? ?Engineering Mechanicsï¿½?? conducted by Indian Institute of Technology, Bombay, from 26th November to 6th December, 2013. Attended a workshop on Project Management Body of Knowledge (PMBOK) 4th Editionï¿½?? on 22nd ï¿½?? 30th December 2012 at NIT Warangal. Attended AICTE-ISTE Short term training programme on ï¿½? ?Advancements in Concrete Technologyï¿½?? on 13th - 24th December 2004 at S.R.K.R. Engineering College, Bhimavaram. Attended Short term training programme on ï¿½? ?Advanced Mechanics of Solids and Structures (AMSS 2005)ï¿½?? on 26 ï¿½?? 30 December 2005 at Indian Institute of Technology, Madras. A study on the influence of Nano particles (Al2O3 and Fe2O3) inclusions in Self Compacting Concrete. Visited Instituto Superior TÃ©cnico (IST), Technical University of Lisbon, Portugal in the month of September, 2013 under the TEQIP ï¿½?? II for one month training. 1.Officer In charge, Structural Engineering Lab from June 2008 to June 2011. Played role in the strengthening of UG and PG lab by procuring equipments like Longitudinal Compression meter, Concrete Pan mixer etc; These equipment were also been used to carrying out B.Tech and M.Tech project works. 2. Acting as a Mess warden for Krishna Mess, NIT Hostels form 16.07.2012 to 20.08.2014. K J N Sai Nitesh and S Venkateswara Rao, ï¿½? ?A study on the effect of aspect ratio of steel fiber on torsional properties of high strength Self Compacting Concreteï¿½? ?, Transylvanian Review: Vol XXIV, No. 11, Special Issue, 2016, pp 2862 ï¿½?? 2872. Praveen, S. Venkateswara Rao and P. R. Kumar, ï¿½? ?A study on the influence of a/d ratio and stirrup spacing on Shear behaviour of Steel Fiber Reinforced SCCï¿½? ?, Cement Wapno Beton, Vol 13(6), 2016, pp 405-422. K J N Sai Nitesh and S Venkateswara Rao, ï¿½? ?An Experimental Investigation on effect of Hybrid Fiber on High Strength Self Compacting Concrete and Vibrated Concreteï¿½? ?, International Journal of Earth Sciences and Engineering, Vol, 9(3), 2016, pp 400-403. Venkateswara Rao, S., Silva, P., & De Brito J,ï¿½? ?Experimental study of the mechanical properties and durability of self-compacting mortars with nano materials (SiO2 and TiO2)ï¿½? ?,Construction and Building Materials, Vol 96, 2015, pp 508-517.